“I am Thomas Mordred and I am a fake, a pretender. It’s not my fault. I woke up and found myself in an opulent bedroom meant only for a king. Before I could escape, a slave named Darden came up behind me and called me Your Majesty. He quietly explained that I am King Mordred the Seventh of Broanmire and that I suffer from blackouts. Over the years I said I always went to a strange place with scary people when I was unconscious until I spoke of it no more. He says that nowadays I awaken and have lost my memory but it seems that they must still be with me because somehow, I act as though I know what I’m doing…almost naturally. He told me I always wear my robe and now I have come to call myself “The Robed Pretender of Mordred Castle”. Although he’s tried to help me learn about Broanmire, I can’t rely upon his counsel alone. I know or remember nothing of Broanmire or its allies and treaties or even its enemies. I know nothing of the people or if I treat them well or ill. I know not who to trust or even who to fear. I need to learn how to be their King and how to command my army and navy, how to lead and when to heed the counsel of others. 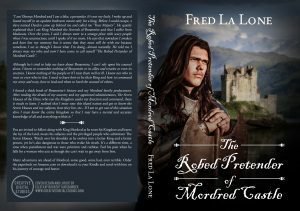 You are invited to follow along with King Mordred as he tours his Kingdom and learns the lay of the land, meets his subjects and the Privileged People who administer The Seven Houses. Watch over his shoulder as he evolves into a better King and a better person, yet he’s also dangerous to those who evoke his wrath. It’s a different time, a time when punishment and war were primitive and ruthless. Feel his pain when he falls for a woman who acts as though she can’t wait to get away from him. Many adventures are ahead of Mordred, some good, some bad, even terrible. Order the paperback or download the Kindle version and travel with him on his journey of courage and honor. Christmas of 1969. At a Ministry of Defence establishment a military aviation project is threatened by cancellation. A tempting proposal for relocation is made to the lead scientist engineer by a US airframe constructor interested in the project teams’ successful research. War in Vietnam at a disadvantage, encouragement into the exodus of professional skills from the UK is under consideration. Problems escalate aboard a Royal Navy aircraft carrier popular with the public, near to completion of an extensive refit, the ship a principal player in a last ditch attempt to save the project. When a fatal incident at sea turns the engineer’s familiar world upside down, his research aircraft lost under questioned circumstances, inconsistent attitudes at a Whitehall inquiry into the assumed loss are underlined by the unknown whereabouts of the chief scientist head of project. Suspicion increases of at least one murder on a British warship covered up. An important government adviser makes himself known, evidently at odds with the inquiry. He encourages the engineer and a scientist colleague on a journey in search of the facts, for reasons of his own – a journey in pursuit of their head of project. In the UK, absurd questions raised in the national press make accusing headlines, together with suspicion of another murder, that of a close friend. They are set on a fateful quest that isolates them from their country, the way home severed. Questionable evidence suggests the research aircraft did not come down in the English Channel, that against almost impossible odds it may have been flown to a location where a further apparent murder has taken place in the French Camargue; a search of remote lagoon marshes eventually provides the scientists with proof, too late to prevent the departure of an East German freighter from Marseille, convincing evidence uncovered to believe their chief scientist is aboard. The protagonists caught in an intricate web of intrigue weaved far above their heads, entangled inescapably without assistance on the ground, an enigmatic Security Service intelligence officer known to them a mysterious influence, his objective is obscure. Media exposure spread to the continent, false accusations appear to be linked to the seat of government and increasing suspicion of murder authorized within a defence department. Collusion of public figures in a plot to take power out of political hands in the UK remains hidden beneath a blanket of secrecy. Events lead toward the possibility of military confrontation in international waters, a situation out of the hands of those responsible, a threat of deliberate Soviet escalation in the Cold War. A nation’s future is at stake as a French warship heads into a Mediterranean winter gale on Christmas Eve. Beyond dawn, a tragedy unfolds. The protagonists eventually made aware they will have a part to play in the conclusion to their quest, a journal revealed during their pursuit of answers describes another journey, one undertaken across Europe in the Second War, unexpected insight into their missing head of project’s past, dreadful times recounted across a continent torn apart. It questions strong loyalties taken for granted. The conclusion resolves in a meeting with a most prominent person respected by public opinion, a man who now holds the future of their country in his hands, where they learn the purpose behind what seems to be an ultimate failure of the apparent objective of their journey. They come to understand the deliberate moves that brought them to a meeting they could not have imagined might occur, and the reason why they are there. Their presence is significant – a potential consequence, the political destiny of their country. MAID OF BAIKAL is a richly imagined speculation on the Russian Civil War that vividly portrays its violence, bitterness, and hardship, while telling the inspirational story of a determined young woman who perseveres in the face of overwhelming obstacles and who dies for her beliefs, not knowing whether her dreams will be realized. It is early 1942 and South-East Asia is in flames. The Japanese forces storm south through Malaya, Singapore is lost and the battle for the Dutch East Indies begins in earnest. With the Japanese already at the gates of Java, the Dutch government discovers a load of gold left behind in a bank. In a desperate effort to save it from falling into Japanese hands, a damaged airliner is hurriedly repaired and a scratch crew is assembled to fly the gold to safety in Australia. But a malignant fate interferes. Their airplane malfunctions in a remote spot, several crew members are killed by a band of local insurgents, the survivors hastily hide the treasure and barely escape with their lives. Reaching friendly territory, they find they are posted AWOL and wanted for theft of a cargo of gold. 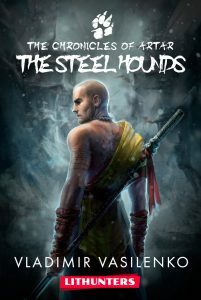 The survivors struggle through the rest of the war in a series of harrowing adventures. Then the war ends and they try to settle in civilian life but the hidden treasure puts its spell on them and they try to retrieve their “lost” gold. But they soon find out that the jinx is still there. Misfortune, violence and death follow in their wake as their bloody treasure hunt takes them back to the Dutch East Indies, a restive place despite the war’s end. As the story continues, their quest takes them across continents, spanning India, Australia, Europe and North Africa. Their exciting exploits and sizzling romances are juxtaposed with historical developments of places scarred by war and colonialism, the racism of corrupt societies and the emerging threat of terrorism. The tale is replete with danger and treachery as the pursuit of “The Java Gold” shows the treasure hunters that the price of greed is human life. “The Odyssey” marks the beginning of a series of books following the treasure-hunters. Kingsley blends kinetic action with meticulously researched factual details, infusing the work with his own passion for aviation and the Second World War, giving readers an exhilarating literary experience that’s part historical fact, part pulp fiction and all adventure. Letters from the States came often and, sometimes, more than five at a time. Marines do love to get mail. Not email. The real thing. Good old U.S. Post mail. Handwritten. Had to be. It was 2003 and Sergeant Leah Ann Sullivan read her mail every day, addressed to her 2nd Battalion, 3rd Marine Regiment, which was just south of Fallujah, Iraq. The mail was from her grandmother, with whom she was very close. One hell of a story was laid out in those letters. A love story in the time of the American Revolution. Leah never knew she had such history in her family. Leave it to Grandma, always so full of great stories. On Leah’s breaks from her duties, the letters brought her back to a time when America was young. A time when the country was undiscovered and her ancestors had to protect Fort Henry and their colony. There was a lot to lose in the 1700s, around the Ohio Valley. Local tribes wanted their land back, and the British knew how to take advantage of that. Betty Zane was the girl who had to grow up fast on the frontier. She was raised by her four brothers. Her older brother, Colonel Ebenezer Zane, taught her how to protect herself, use her instincts, and shoot a long rifle. Then, Betty fell in love with Zach. Their love was immediate and deep. She never stopped loving him, even when she was forced to go to school in Philadelphia. All she wanted to do was to come home and marry the boy she loved, a boy who was becoming a man and who helped transform Fort Henry into Zanesville. Betty would find a way. But the Shawnee Warrior with the scar on his brow was out to take everything from the Zanes. He lost his brother because of Betty and her brother. He lost the respect of his tribe. He was losing his land. He found his opportunity with the British Captain Pratt and the American traitor George Girty. They were just as determined. They conspired to take down the Zanes and Fort Henry. But they threatened the wrong girl. A girl who was becoming a woman, who loved her man and her country, and would do anything to save them. The letters told Betty Zane’s story well, and Grandma knew what she was doing. The stories stirred something within Sergeant Leah Ann Sullivan at just the right time. Her Captain has assigned her to lead a mission. A “Red Eye Op.” Now it is her turn. She is about to find out just how damn tough she is. Who is the ruthless enemy in the dark of the Iraqi desert, taking out her fellow Marines? Who are the two unknown soldiers who have compromised her team? Will she have the time to tell the Marine named Vargas how much she cares for him? With her Captain’s faith, and a team who has put their trust and respect in her, Leah is about to embark on her own journey. A journey of self-discovery and intestinal fortitude, and high risk. One that takes us to the ending of a true story, about a female warrior in the past that will forever change who this warrior is in the present. Forget what you’ve been told. Werewolves do exist. And their numbers are growing. But the truth is more terrifying than anyone can imagine. Werewolves are prowling the city. Hunting and killing. Lycanthropy, a disease as old as humanity, now threatens to destroy civilization. With no cure, no vaccine, and millions of potential victims, it’s spreading through the capital at exponential rates. And every werewolf bite has just two possible outcomes – death or infection. The werewolf apocalypse is here, and it’s only just beginning. Maggie never wanted to go into the family business, but when her parents die suddenly and her husband has just abandoned her and their two small children, what choice does she have? With the support of her best friend Elka and her mentor Betty, she had to accept becoming a funeral director. Now Kate and Nick are grown and Maggie faces the prospect of a future without them. It’s the middle of winter and Queenstown is full of skiers. Betty has just died and Elka needs surgery. Kate, back from London where she was an up and coming chef, won’t get out of bed. Nick feels guilty delivering fast food to an ex-champion skier, Lizzie, who is bitter about the injury which robbed her of glory. There is a movie star on location nearby who won’t listen to advice, and Maggie can’t seem to put a foot right with the new doctor in town. People are dying and life goes on. In the lush, tropical world of Martinique in 1902, a French planter’s daughter and an army officer are swept up in a whirlwind of voodoo, black magic, and intrigue during the Pompeii of the Caribbean. In a wonderful galaxy, rich in planets and life, humans have found a new home. Still, they are not welcome but tolerated only because not one of the other five advanced species in the galaxy wields such strength and power that is the humans by birthright as evolution has given the future to the human race and they are violent and merciless with their inheritance. Yet even humans tire of war, and so have allowed the galaxy to enjoy a time of peace. But the ambitious are quick to cast peace aside and General Hexera has as much as done so when she wakes her armies from a fifty-eight year slumber endured in hibernation pods. The General will need all her strength and the malice of her cunning, for the species she hopes to conquer is the most dangerous of foe, her own kind. Her path to conquest is promised in blood and fire, that is until the small crew of the Missing Madam intrudes on her cruel design. . .Not on purpose of course. In a generational war of a Necromantic and the Protector of the Mystic Order Of Life, Professor Necro seeks to reach a higher level of existence, no matter how many lives it cost. Opposing him is the Gold Sama, the head of a mysterious religious sect, along with his mystic Jianhu and his Forces of Fate. The premier heroes of the age, Duel-Devil, Arrow, and the Black Terror stand guard as villainous threats hound over decades. As this occurs in the back drop, we witness the life of a legend in Captain Battle in a changing world. He and his teammates, The Bold Eagle, Stroyer, and America’s Fighting Twins Guts & Glory, must deal with menaces to life, liberty, and justice. Tales ripped from a comic book landscape draw parallels to a physical and spiritual plane with “normal” superhumans and those of a higher level. What tragic events will drag these two disparate groups together? 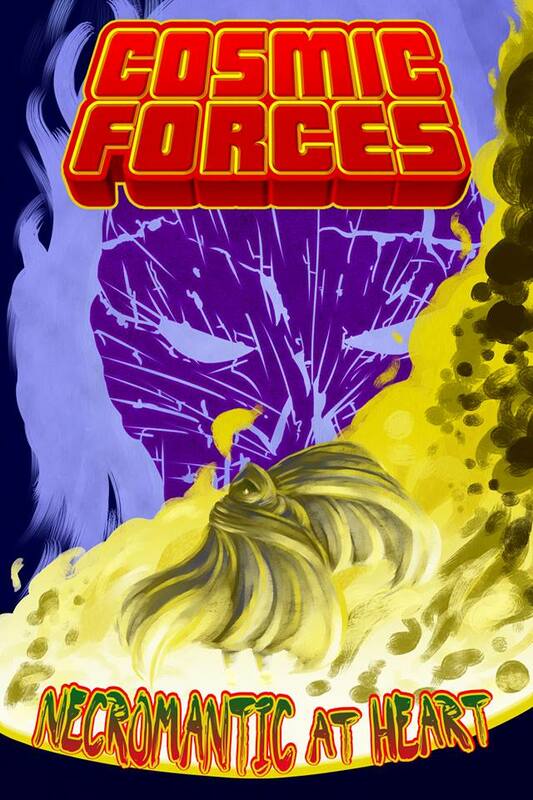 Find out in Cosmic Forces: Necromantic at Heart! Twelve years ago Johnny Brogan went away for murder. Now the police say they had it wrong. Brogan did it, the cops know it, but on these streets nobody cares. The brother of the man he killed wants him dead, his bitter ex-girlfriend wants him between the sheets, and a corrupt businessman wants him dragged back into his old life. Brogan has other ideas. 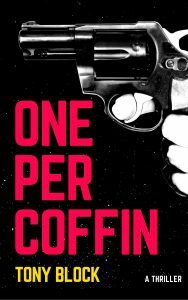 Smashing his way through cops and criminals alike, he refuses to stop until everyone who deserves it is laid out one per coffin. When Jack Turner’s wife and kids are diagnosed with a new form of cancer, he is baffled. As a former collegiate athlete, he and his family live a healthy lifestyle. Now, suddenly, they are sick. But why isn’t he? And how is there already a drug for this new disease? Jack will stop at nothing to get answers, and to save his family. 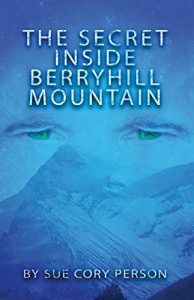 With the help of some surprising and unexpected friends, he uncovers a conspiracy that is bigger than anything he could have imagined. But is it more than he can handle? 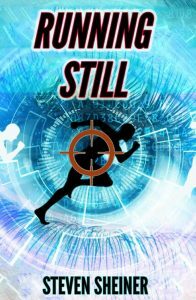 Filled with action, drama, and suspense, Running Still is a David vs. Goliath type tale that spotlights the frightening power of Big Pharma and what can happen when billions of dollars are at stake. over-run by a long buried tribe. from unleashing an ancient curse. at bay, one job at a time. The Zee Brothers: Curse of the Zombie Omelet is our hilarious introduction to Jonah, Judas & JJ, the lovable disaster prone trio, responsible for keeping the zombie apocalypse from becoming a reality. Believe in being excited about uncertainty! Through stories of spontaneous adventures, unexpected outcomes, and miracles, this book will show you how to embrace unpredictability and use it as a tool to reach your biggest goals. The motto that every officer is taught from their first day in the academy. On a humid June day in St. Louis, it is a motto that could get Officer Wyatt Ward killed. Desperate citizens flock to the station as the officers of the Cottleville Police Department struggle to handle the chaos that is enveloping a city already shaken by rioting. But as darkness descends something much worse is rising. The deranged. Brutal, unforgiving, single-minded monsters that were once the citizens Wyatt was sworn to protect. Now, they attack. They bite. They infect. What is a man who is sworn to protect to do as the world dies? It should take Tommy only eight hours to get home by Greyhound. But when he listens to a mad man giving a tip on a sure thing, listens to the words of wisdom of a haiku reciting frog, and listens to an eccentric billionaire about a marriage proposal, then the eight hour trip turns into a life changing journey. Some want to know if Tommy is crazy enough to be locked up, but his heart tells him he is just crazy in love. A little juju can protect him from River Ratz, but it’s going to take a miracle to give him back his peace of mind. PLEASE WRITE A REVIEW. Joey would never forget the night he awoke to his sister screaming, and his mother huddled in fear. Tab, their stepdad had spiraled out of control, and his verbal abuse turned to physical abuse. While Tab went to jail, police officer Matt Darden escorted the family to a secret women’s home, built by billionaire, Charles Berryhill. The home was nestled between two mountains and behind a massive amusement park. The only entrance was a ride on the ‘Silver-lining express’. Joey soon learned his instincts were right, and he was being followed. When he met ten year old Mattie hiding in fear for her life, she revealed the truth about the ‘One way in–No way out home.